We know there are a 100 reasons why a candidate should join you! Let’s pick some important ones that will give them a push to go ahead and apply for an opportunity to work with you. Emphasize on the heading above. Make it simple yet attractive to let candidates know the real benefits of joining you. No employee would be interested in a job that he is paid for but isn’t quite satisfied with it. 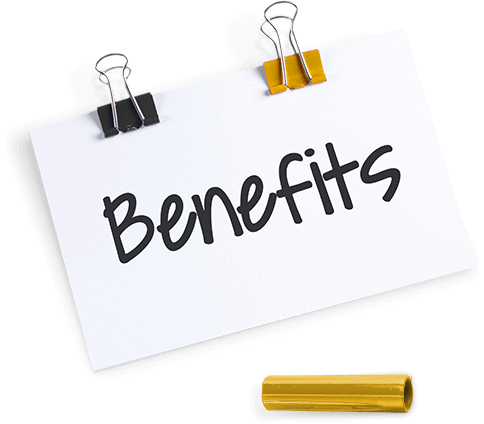 We all know that perks and benefits are a way to attract employees! What are yours? List them here. Elaborate the above benefit and keep it precise so that it makes a single line to match up with the design. Every business requires manpower to work. Here is where you can list the vacancies you have in your organization. List them in the box below with a short description about each. One line about the requirements and qualities you are looking for in a person applying for the position you mentioned above.